We wanted to let you know that we offer the best variety of trees, shrubs, plants and flowers in the area, with strong, developed root systems. We have a lot of fun here, which means our employees are happy. And we cost less than the other guys. Come in and chat with us. We have included photos of several of our stock; however, to see everything we offer, please drop by to see us very soon. Welcome to South Pleasantburg Nursery! We take much pride in being the Upstate's premier garden center, featuring a wide variety of indoor and outdoor garden items. Plant wise, we offer the highest quality trees, shrubs, ground covers, vines, fruits & berries, perennials, annuals, vegetables, herbs, indoor plants, and Bonsai. Our selection is meticulously cared for by our qualified staff to assure you leave here with the healthiest plant material possible. Not only do we boast about our plants, we're also the most reputable "one stop shop" for all things pond related including water garden treatments, plants and even LIVE KOI! To further expand our selection, take a peek inside the doors to the nursery to be amazed at our selection of gift items, garden statuary and one of the largest selection of Organic supplies in town. Come in and check it out for yourself, there is no possible way to see it all in one trip! Genesis Turf is located in Greenville, South Carolina and started with a sports turf background in 2001. In our 12 years in business, Genesis Turf has sought to offer the highest quality synthetic turf and multi surface sport surfaces on the market. Genesis has grown to become a global leader in high quality artificial turf solutions including synthetic lawn turf, artificial golf turf, playground turf, pet turf, and multi surface tile solutions. Genesis Turf is a proud supplier to the US military, various US colleges, The Discovery Channel, The City of Miami, and The Make A Wish Foundation. Genesis Turf is both a company and brand name that represents the highest quality and craftsmanship in the artificial turf industry. 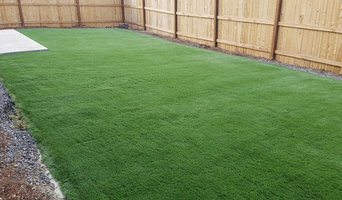 Being a worldwide supplier of synthetic turf has allowed the Genesis Turf name to grow not only with popularity but with trust in our products. Whether you are the commercial cutter who needs a dealer committed to your "down time" providing service for your Husqvarna, eXmark and now Walker Mowers, or a homeowner needing professional guidance for your personal lawncare needs from a push mower to a blower, we've got you covered and we want you as customer. Serving the outdoor power needs of Upstate South Carolina for over 12 years. We want to EARN YOUR BUSINESS at Boiling Springs Small Engine. Quality brands like Walker, Husqvarna, eXmark and Stihl to name a few, combined with quality service is what we have built our solid reputation on. We offer financing (same day approvals), pickup and delivery service and equipment rental. Visit our expansive showroom on Highway 9 in Boiling Springs.You can count on us! Roots is excited to bring a great collection of home and garden accents, houseplants, gifts and unique services to Greenville for you to enjoy. Our goal is to help you create an outstanding living environment in your home by offering products and services that blend your indoor and outdoor living areas. We offer Potted Arrangements, Houseplants, Home & Garden Accents, and Holiday Decor. We also have a large Outdoor Garden Department with a great selection of plants, pottery, and garden excitement. We offer an on-site container planting service to beautify your home, business, office, or event. We are a family owned business and carry high-quality koi and goldfish, fish food, pond treatment products, filters, pumps, garden decor and much more. 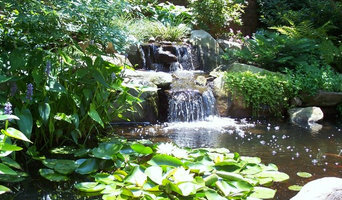 We also offer pond upgrades, installation and maintenance. Frank's Plants and Produce is a family owned garden center that has been in operation since 1981. We strive to offer quality plants and products at reasonable prices while providing our customers with friendly professional service. At Acorn Landscape in Franklin, North Carolina, our specialty is residential & commercial landscape design and construction. We can give your existing landscape a "makeover" or create a new, inviting outdoor environment that will add both beauty and value to your home or business. We know that the key to making your landscaping project run smoothly is the choice of a landscaping company that values your business and delivers on their promise to you. At Acorn Landscape, our goal is to provide you with the quality you expect and exceptional service. Take a look at our before & after page to see the Acorn Landscape difference for you yourself. An Acorn designed landscape has many benefits including: improving property value, increased privacy, and enhanced livability of your home's outdoor environment. We can also bring your landscape to life at night with our new line of low-voltage lighting systems. Contact Acorn Landscape for more information or visit us on Facebook to learn more about our projects and services. Call 828-524-8976. We are a small garden center with big ideas for every budget. Since 1962, Foster's Garden Center has provided personal service to the surrounding communities in Spartanburg & Cherokee counties. Our business has evolved and now includes; Plants, gardening supplies, floral arrangement services, unique gift items and antiques. Epic Lights is a landscaping-focused lighting specialist that provides solutions for beautiful yet fully function landscape lighting. Our services can be utilized for both commercial and consumer applications, and we guarantee that you’ll find no other outfit with more extensive expertise than Epic Lights. Our division is brand new, but we’ve been in the outdoor lighting industry for over 20 years. We’re more than happy to prove out excellence by demonstrating our complete knowledge of outdoor lighting systems for landscaping. Landscape Lighting Services Offered by Epic Lights •New Landscape Lighting Installations •Outdoor Lighting Annual Maintenance •Commercial Landscaping Lighting Diagnostic •Lighting Demonstrations •Repair of Existing Lighting •Outdoor Lighting for Custom Landscape Design We proudly serve South Carolina with these services, and have completed projects in Easley, Simpsonville, Greer, Seneca, Liberty, Piedmont, Salem, Clemson, Spartanburg and other nearby towns and cities. We would be happy to visit your location and provide a free estimate, and we currently offer a free demonstration with an order of 10 lights. Contact us today for more info! Established in 2000, Cochran Landscape Management, Inc set out to prove that a company driven by knowledge, persistence, and a commitment to quality would prevail in an industry so inundated with competition. The use of honest and reliable business practices has allowed this goal to be achieved in only a short time. It is now our desire to provide an even broader range of clients with a taste of what we have already given so many. CharGrow, LLC is a manufacturer and supplier of concentrated probiotics for plants. Its dry granular formulations are designed to be mixed into potting soils and container mixes, or applied to field grown crops prior to seeding and transplanting. The Master Gardner Company has been in business for 27 years providing quality lawn and garden products that we as a company would purchase ourselves if we were consumers looking for the product. If you’ve been dreaming of a beautifully landscaped property with a water feature or a concrete fire bowl but don’t know where to start or what landscape supplies to buy, it may be time to look into garden and landscape suppliers in your North Carolina area. From retaining walls to raised garden beds, these professional vendors can make your backyard the oasis you’ve been longing for. What’s more, many of these professionals can help you take your ideas from design to installation and provide garden care and yard maintenance according to your Avery Creek, NC climate. Here are some related professionals and vendors to complement the work of garden & landscape supplies: Landscape Contractors, General Contractors, Landscape Architects & Landscape Designers. What Products Do Garden and Landscape Supply Businesses Carry? Homeowners, landscape contractors and professional garden designers can look to landscape nurseries for everything from yard and garden maintenance supplies to bulk goods like composted soil, bark mulch, lava rocks and washed sand. Wholesale nurseries offer specialized plants and trees like topiaries and ornamentals for Zen garden concepts. Hardscapes have become a popular, low-maintenance landscape solution. Many suppliers carry large concrete pavers and natural stones. New types of landscape supplies reflect the growing popularity of urban roof gardens with raised garden beds and benches, too. What if you would love to grow your own vegetables but have site limitations? Many garden supply companies offer planters and containers that are up to 42 inches tall. For those who live in colder climates, consider a greenhouse — just the thing to enjoy starting plants or growing exotic blossoms that wouldn’t quite work in your Avery Creek, NC climate. Where do you source your plants from? Do you offer any design services? What are your delivery options and fees? Do you have a section on local/native plants? Find garden and landscape supplies on Houzz. 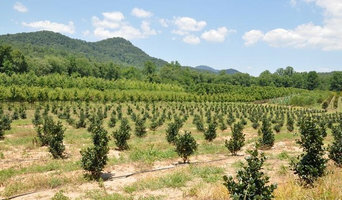 Search the Houzz Professionals section for Avery Creek, NC garden and landscape supplies. Browse photos and read reviews. 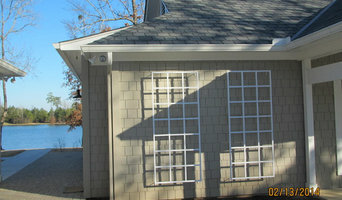 You can also explore full-service North Carolina landscape architects and garden contractors.